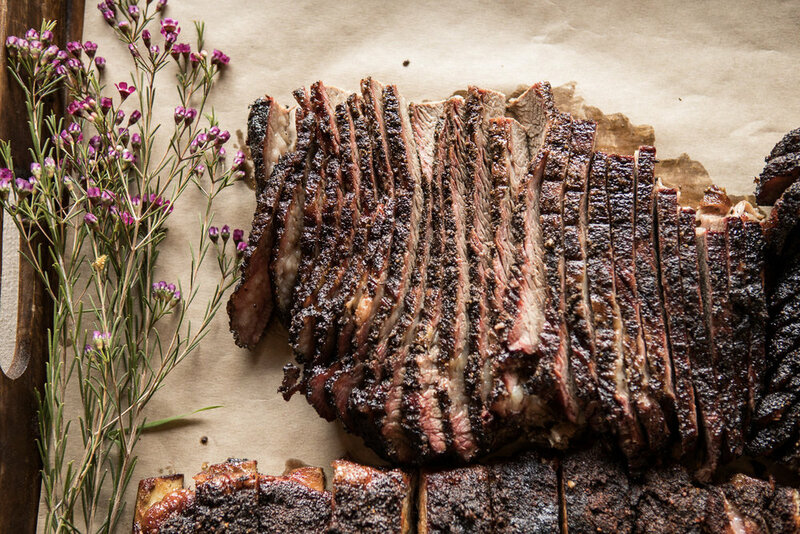 Q Craft is dedicated to bringing the bounty of Sonoma and Marin counties to the BBQ world. Sourcing locally raised, sustainable meats and organic vegetables, Q Craft delivers quintessential traditionally smoked meats with modern sauces and side dishes. Specializing in weddings and rehearsal dinners, private events, and winery catering, we can provide anything from a casual food drop off to full service family style catered events. We have a staff of hospitality professionals, servers, and bartenders to meet the demands of the most discerning clients. Our new menu crafted for intimate gatherings with an upscale twist, featuring dishes inspired by the Great American Steakhouse. Whether you're hosting a wine country wedding for 300 or an intimate soiree for 25, our BBQ experience delivers quintessential traditionally smoked meats with modern sauces and side dishes. I have been fortunate enough to have found an incredible chef and a true MASTER of his craft for our special event department! Brannon not only delivers exciting flavors smoked to perfection, but his unique take on some of my favorite classics, give new life to comfort food.